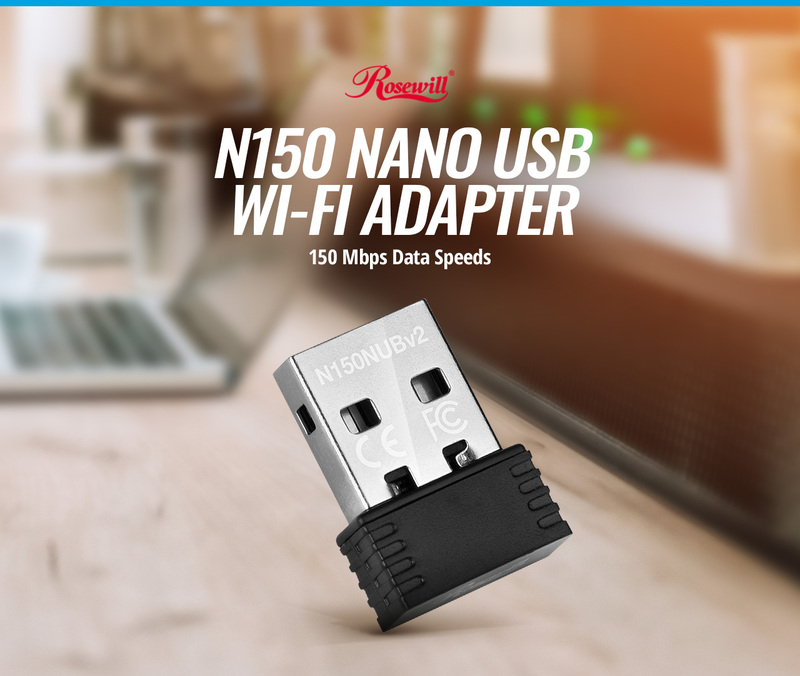 Connect the unobtrusive nano USB to an available port and leave it plugged in, or unplug to conveniently take on the go for fast and reliable connectivity. 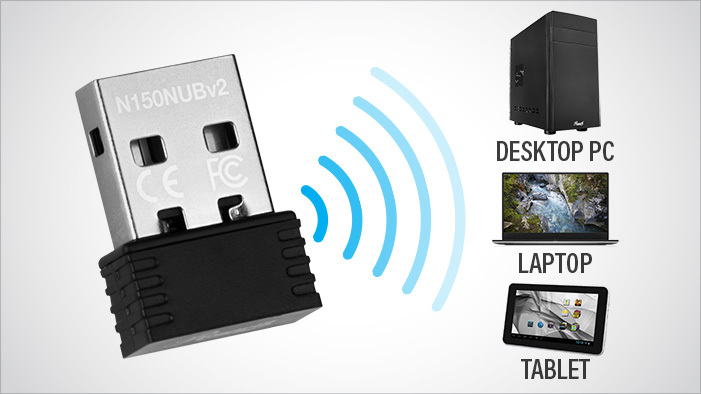 After simple installation steps, instantly access reliable wireless networks and share high speed internet across multiple devices and operating systems. 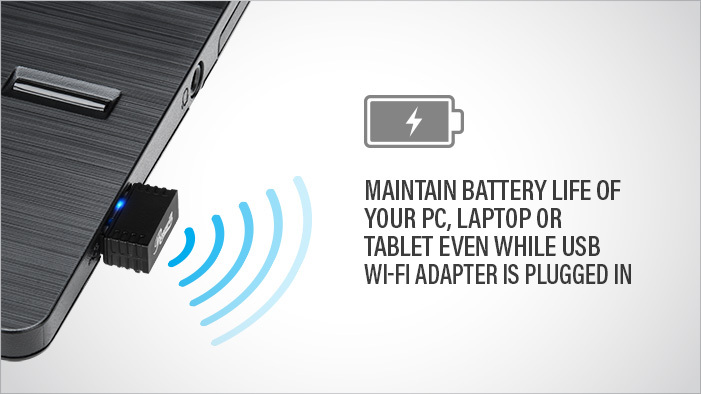 Keep the minimal power consuming USB Wi-Fi adapter connected and still maintain the battery life of your PC, laptop or other mobile device. 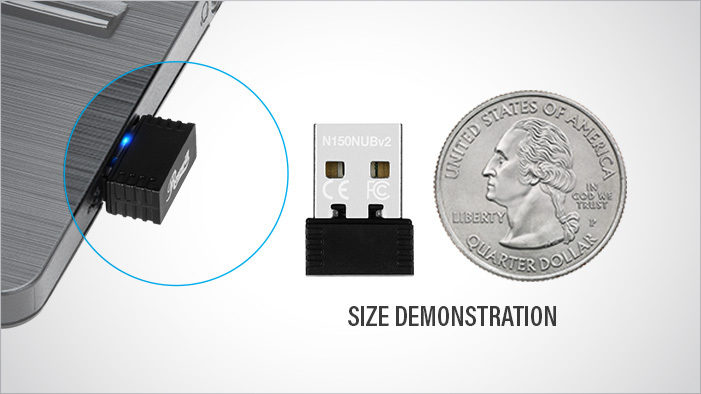 0.28" x 0.73" x 0.59"